2015: What's Next? 2015: What's Next? 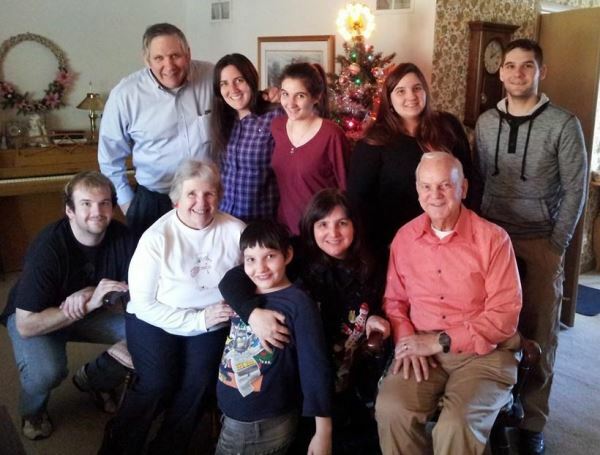 This is a photo we took on Christmas day with my parents, Gordon and Marylin Gosh, husband on the end, five of my children, Cathryn, Susanna, Amanda and Matthew (in the back), nephew, Daniel, and son, Philip in the front (being corralled by me and my mom). We never know what a year will hold, but we know the principles that work every time…Faith, Hope and Love. If you make New Year’s resolutions, think about what you can do this year to make your life more productive and serve as a conscience for your community. This might be the year you run for a local office. Filing for local offices is open in most municipalities until the middle of January. Call me if you need advice on how to do this. 1. 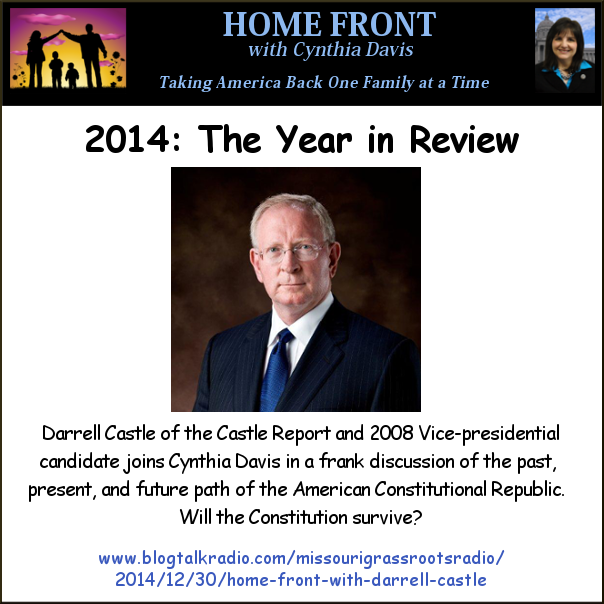 Listen to our show with Darrell Castle as we offer analysis of what happened last year and what we think will happen in 2015. 2. I am trying to raise funds to be able to attend the National Religious Broadcasters Convention. A donation of any amount will be very beneficial for our future broadcasts and newsletters. 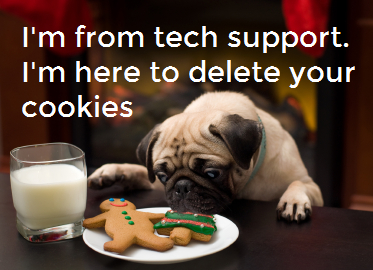 Because we do not have any revenue stream, your donation is all we have and will be much appreciated. Most people do not realize we are a volunteer entity. You can mail a check to Cynthia Davis; 1008 Highway K; O’Fallon, Missouri 63366. Thank you for joining us in our effort to heal our nation!